The gate dropped for Supercross in Tampa, FL for the first time in almost 20 years. Austin Forkner, of ProX backed Monster Energy Pro Circuit Kawasaki, was putting fast, consistent laps together all day, and it showed. 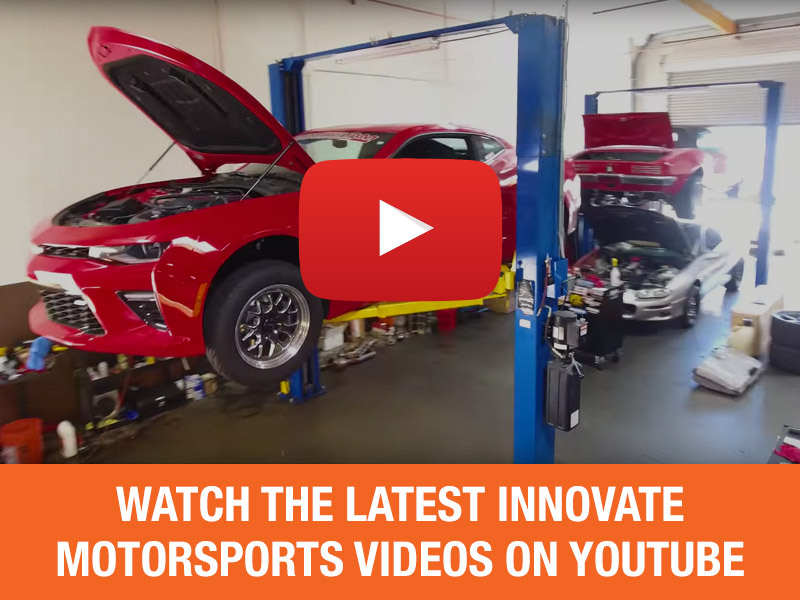 Hear from the riders and check out the full details below. 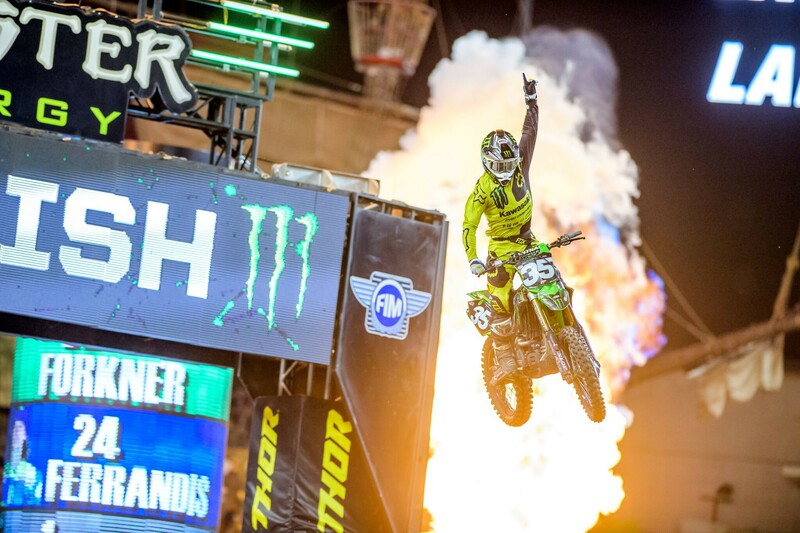 career Eastern Regional 250SX Class victory in Saturday night’s Monster Energy AMA Supercross, an FIM World Championship, at Tampa’s (Fla.) Raymond James Stadium. Forkner, 19, was a staple in the top four in both his qualifying sessions and finished third in his heat race. The Richards, Mo., native didn’t waste time when the gate dropped on the 250SX Class main event, and rounded the first corner third in the running order. 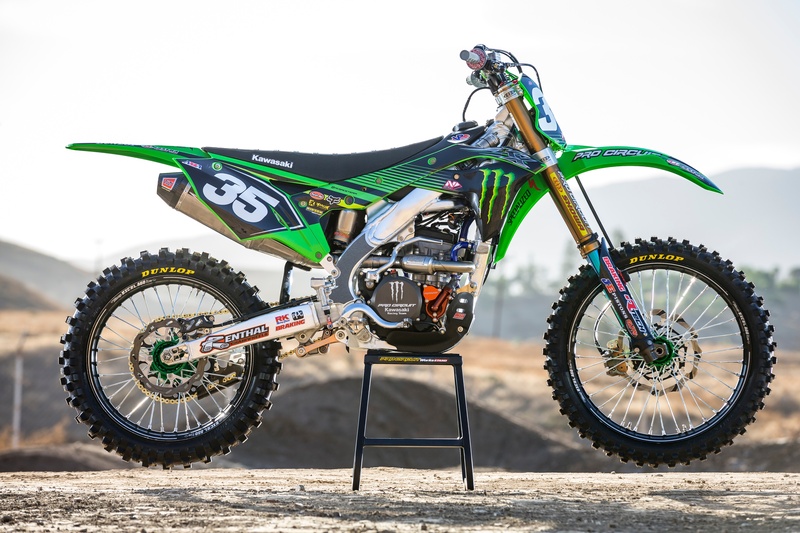 Forkner stalked the top two in the early goings, and by the time the 22-rider field completed the first lap, the rider of Pro Circuit Racing’s No. 35 Kawasaki was at the point. Over the next 19 laps, Forkner held off multiple challenges for the top stop to pick up the first of what industry insiders expect to be many 250 SX Class victories. 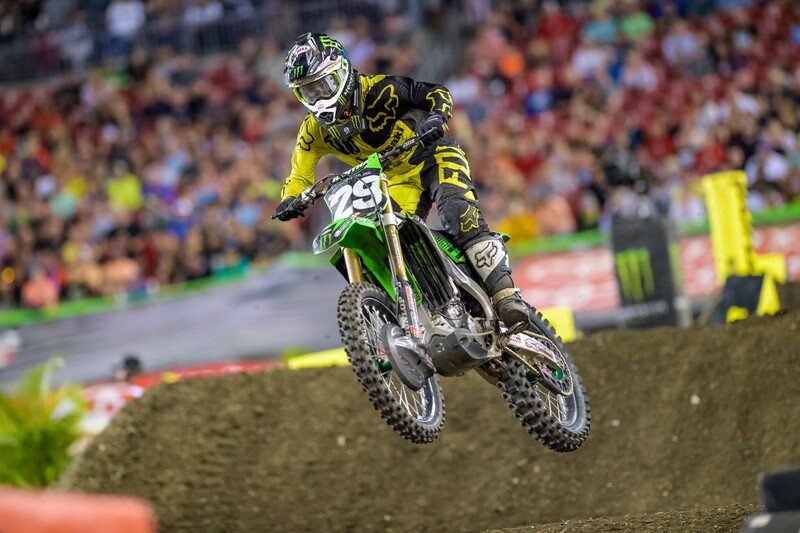 Meanwhile, Forkner jumped from seventh to second in the Eastern Regional 250SX Class points, where he trails leader Zach Osborne by a mere five markers. 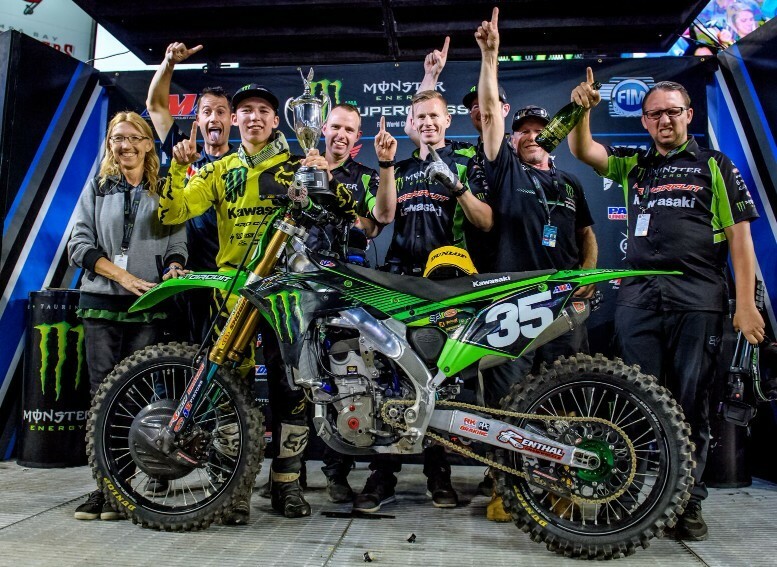 “I’m really happy to get my first supercross win,” said Forkner. “I came into this season coming off a wrist injury and I’m feeling really good right now. The team has a good setup for my KX 250F. Going after my first win was a challenge, but I was up front early and I tried to sprint to build a lead. I managed the pace to try and keep a good gap. I have to give it up to my team for staying behind me. I'm so stoked right now. This is my first podium of the season and first win ever. I'm super happy right now." Forkner's happiness couldn't be held back, and was apparent in his celebration and post-race interviews. Forkner’s Pro Circuit Racing teammate Martin Davalos turned in a solid showing of his own to finish fifth and collect his first top five of the year. After being caught up in a first-lap, multi-bike incident two races ago and left with a disastrous 22nd-place finish in Arlington, Texas, the South-American native bounced back in Tampa by winning his heat race and earning a handsome nine positons in points. Despite a setback right off the start, Davalos put in a solid ride for 5th place. Monster Energy AMA Supercross heads to the Peach State this weekend where the series visits Mercedes Benz Stadium in downtown Atlanta. Round 9 of the 2018 supercross championship will be televised on a live-to-tape basis on FS1 Sat., March 3 beginning at 10 p.m. Eastern Standard Time, 7 p.m. Pacific.